Hey friends! 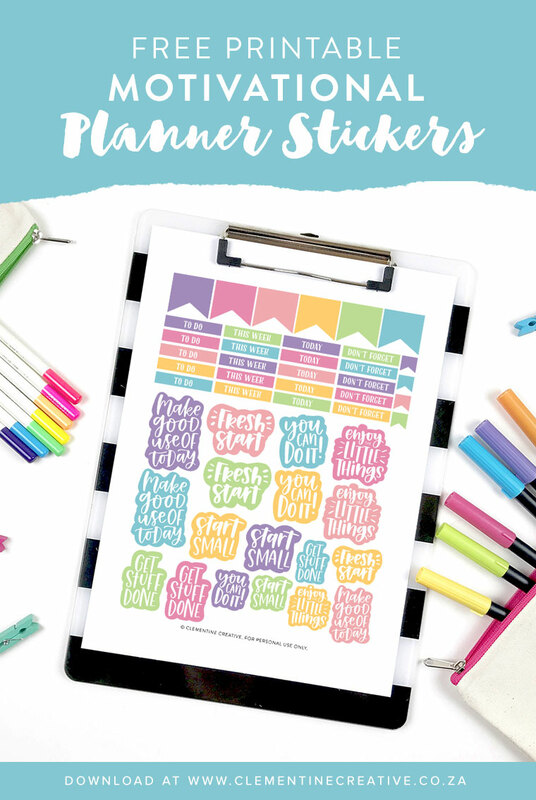 I’m so excited to share my first free printable planner sticker set with you. Because I know you guys love motivational quotes I decided to create some motivational stickers. I hand lettered the quotes with my Apple Pencil on my iPad, vectorised them in Adobe Illustrator and turned them into cute stickers. I love the bright rainbow colours and think it will instantly add some happiness to your planner. You can also paste these motivational stickers in your journal, diary, or where ever you want! I also included some “to do”, “this week”, “today”, and “don’t forget” labels. The colourful ribbons are great for marking events. Here I pasted my stickers in my weekly planner that comes with my Inspired Life Planner. I love how colourful the page looks! A cutting method (either scissors or a Cricut or Silhouette machine). Download the ZIP file below and unzip. On a Mac, just double-click the ZIP file to unzip it. On a Windows PC, right-click the folder and choose Extract All. Inside you will find a transparent PNG and a PDF file. Open the PDF file in Adobe Reader and go to File – Print. The PNG can be opened in any software. Print on your choice of sticker paper. Cut out the stickers with scissors. Or if you own a Silhouette or Cricut, use the trace feature to cut around the stickers. Paste the stickers in your planner, journal or diary! Please note that all freebies on my site are for personal use only, and may not be sold. Feel free to share this freebie, but please credit me and link back to this page when placing my images on your blog or social media. 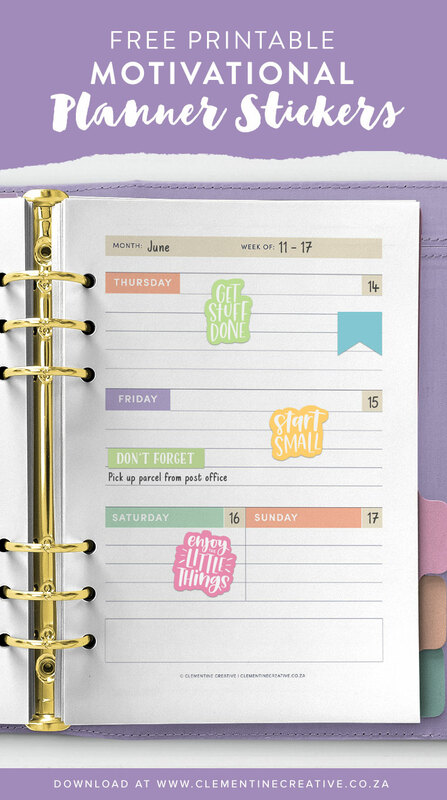 Pin these motivational planner stickers to Pinterest to keep it for later! This is my first time creating printable stickers so I really hope they turn out well for you. If you have any suggestions for future printable planner stickers, please leave me a comment below. I can’t wait to hear your ideas. Those are so cute! I love the colors! These are ADORABLE!!! Thank you. Very nice and looks beautiful on planners. Thanks a lot.